South Africa, the land that has it all, from the dramatic Drakensberg mountains to the wild big 5 game reserves, to endless stretches of white beach boasting two of the continents three waterfalls that plunge into the sea, to the luxurious beauty of Cape Town and the winelands. Whatever you are looking for you will find it in South Africa. We will only include tried and tested places - so the lists below are expanding as we travel - we are looking for the best quality experience at the most affordable price. 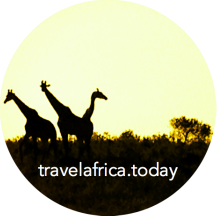 Explore Africa with us...choose an area where you would like to visit.